Canadian Friends Service Committee has been facilitating a consultation and discernment process with Quakers from across Canada around issues raised by synthetic biology. Below is an article written by CFSC board member Fred Bass (Vancouver Monthly Meeting) which originally appeared in The Canadian Friend (reprinted here with permission). For more about these issues, read the Synthetic Biology Kit or contact us. Move over, Nature (and God)—Synthetic Biology to the rescue! So what is synthetic biology? It’s a new field that combines genetics, engineering, laboratory and computer science to produce new forms of life to meet human needs, such as food, fuel, pharmaceuticals, pollution control, cosmetics and information processing. Synthetic biology doesn’t just change genes of existing creatures — it creates new creatures… new bacteria, plants, animals and perhaps people. Proudly and immodestly, Nature’s laboratory — evolution — may soon be replaced by science and technology. Who’s involved? Researchers and academics around the world, including MIT, Harvard, U. Cal and many more, supported by major corporate investment and a little funding from government. The world’s largest chemical, energy, grain-trading and pharmaceutical companies, e.g. Monsanto, DuPont, British Petroleum, Shell, Novartis and International Flavours & Fragrances, have invested billions of dollars in synthetic biology. Government participation and regulation have been minimal, nationally and internationally. What resources does synthetic biology require? Universities’ students, faculties and facilities and corporate research laboratories are essential. To capitalize on what is learned will require massive amounts of biomass (earth’s biological productivity: plants, soil, plankton, forests, etc). Large quantities of land in Africa, Asia and Latin American have already been purchased by corporations (& some universities) to gain access to biomass, water and other resources . This acquisition is displacing local, traditional agriculture. What social justice and ecological issues does synthetic biology present? A few are obvious: agricultural land grabbing, prioritizing cosmetics over food, defining the roles of the public and private sectors, solving safety issues and maintaining the health of natural ecosystems. How can potential threats from synthetic biology be prevented while gaining its benefits? More than 100 international, environmental, social & faith organizations (including the Biotechnology Reference Group of the Canadian Council of Churches [BRG/CCC]) have called for implementing the Precautionary Principle before releasing synthetic biology products for sale. This would include independent supervision of synthetic biology research and development, establishing safety measures, surveillance and protection against unintended effects. Canadian Yearly Meeting in 2012 affirmed three actions in regard to synthetic biology: 1) Asking the BRG/CCC to raise, among all faith groups, awareness of the social and ecological issues related to development of this field. 2) Asking the Canadian Friends Service Committee (CFSC) to provide Canadian Monthly Meetings with basic information and alternative perspectives so 3) they could address three queries (How can the benefits of synthetic biology be applied equitably? How can damaging consequences to eco- and social systems be foreseen and forestalled? Are there zones of activity that should be set off limits for synthetic biology?). CFSC has prepared an Information Kit (available at https://quakerservice.ca/wp-content/uploads/2013/04/2013-CFSC-Synthetic-Biology-Kit.pdf). The Kit identifies (pages 2-3) four relevant Quaker-Institute-for-the-Future booklets (#2, 3, 5, 6). Sets of these were distributed to Monthly Meetings; each can be downloaded (see links in Kit). Appendix One summarizes QIF #2 Genetically Modified Crops: Promises, Perils, and the Need for Public Policy. 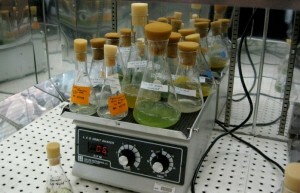 Many people feel reluctant to comment on synthetic biology because it appears to demand highly complex and technical knowledge. Quakers, more than many people, recognize other means of knowing — particularly when ethical issues are concerned — a direct, non-mediated wisdom derived from the inner power that lies within. In a democratic society, this means choice by an informed public. And that includes you. A Special Interest Group on Synthetic Biology is planned for the 2014 Canadian Yearly Meeting in Winnipeg.